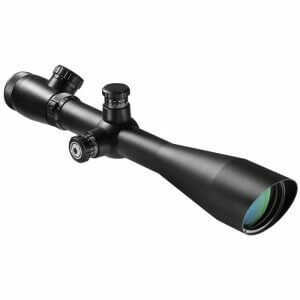 Sniper scope turrets for 2016 Barska has newly re-designed the extremely popular series of Sniper Scopes and has expanded the selection to include 4 models. The new 2nd generation Sniper Scopes by Barska feature improved optical specifications, exterior design and improved structural integrity. The Sniper Scope series is the most popular and best reviewed of all Barska Tactical Scopes. Customer reviews and suggestions have lead to the improvements and added features in the new next generation sniper scope models. Widely used for AR Tactical rifles to long range bolt action rifles the Barska Sniper Scopes are advanced optics for today's precision shooter. A powerful integration of military standard specifications, combined with modern sighting features make the these riflescopes a perfect choice for your rifle. If you need additional help selecting a tactical scope that's right for your needs call our customer support line to talk with an optics professional. Sniper Scope Illuminated Mil-Dot Reticle. The reticle brightness knob or known as a rheostat is angled at 45 degrees to allow quick unobstructed viewing of the elevation knob. The reticle illumination is powered by one CR2032 battery (included). The green light is used when shooting at dark targets in the day, the green light is high contrasting and extremely visible to the human eye. The red light is used for extreme dark shooting when your eyes have adapted to the low light the red light will not interior with your eyes natural night vision. The Mil-Dot reticle can be used for range estimation using a mil-dot graph. Selecting a right sniper scope for your rifle has become easier with the wider selection of models (4 new sniper scopes). With 4 key rifle scope models that cover the wide range of shooting situations and rifle types you be able to find the perfect model for your rifle. Here we explain some of the key features of each of the sniper scope models. The compact 3-9x42mm Model# AC11668 is a full featured compact scope designed for short barrel AR type rifles such as AR-15 rifles and M4 rifles. This scope is also very popular on the AR style 22's such as the M&P 15-22. 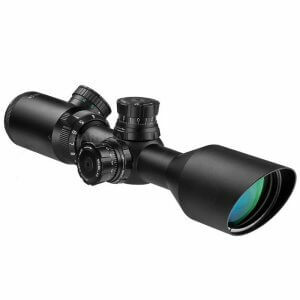 This scope features advanced lockable exterior windage and elevation adjustments. The standard 4-16x50mm Model# AC11670 is a popular mid-range scope for your stand AR or bolt action rifle. It features a 30mm tube and large 50mm objective lens for increased light gathering which makes in and ideal scope for low light targeting. Popular with hunters and target shooters the 4-16x50mm sniper scope is a great all purpose targeting rifle scope. 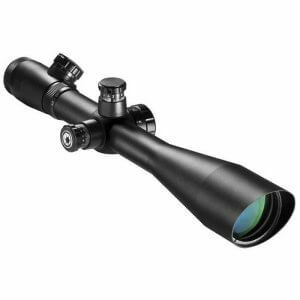 The 6-24x50mm Model# AC11672 is a mid to long range rifle scope that is side parallax adjustable. When increasing the magnification the side parallax allows the shooter to quickly fine tune the focus distance. This scope also features a 30mm tube and large 50mm objective lens for increased light gathering for brighter images at higher magnifications. The all new 10-40x50mm Model# AC11674 is a long range rifle scope for shooters that want to push their shooting skill to the next level. When increasing the magnification the side parallax allows the shooter to quickly fine tune the focus distance. This scope also features a 30mm tube and large 50mm objective lens for increased light gathering for brighter images at higher magnifications.